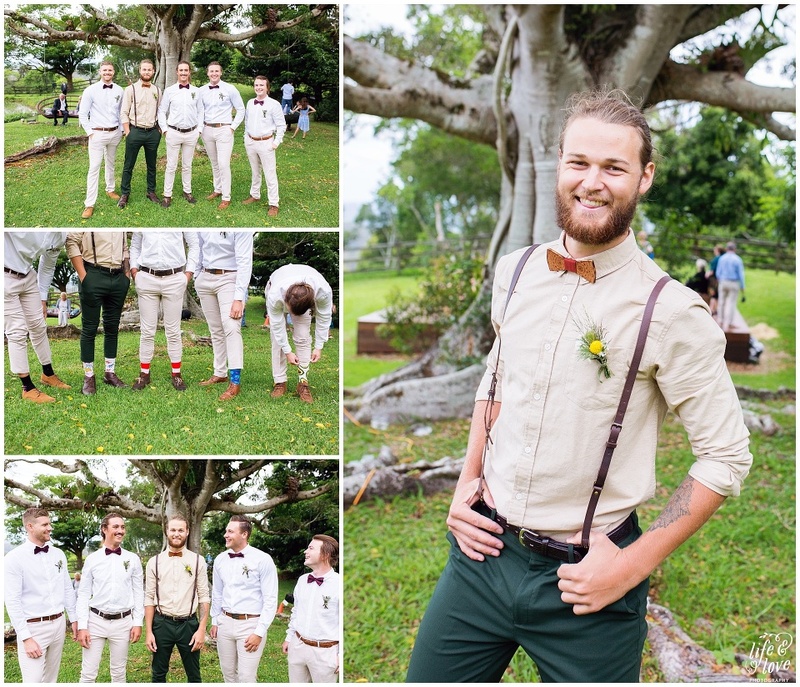 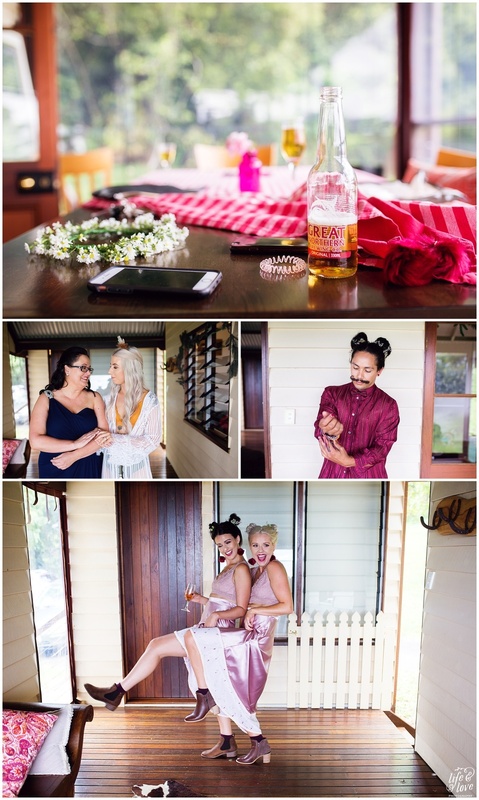 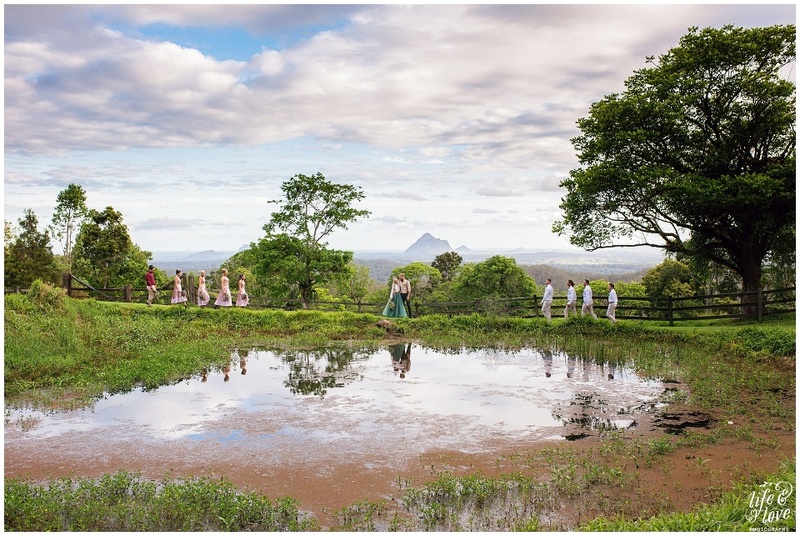 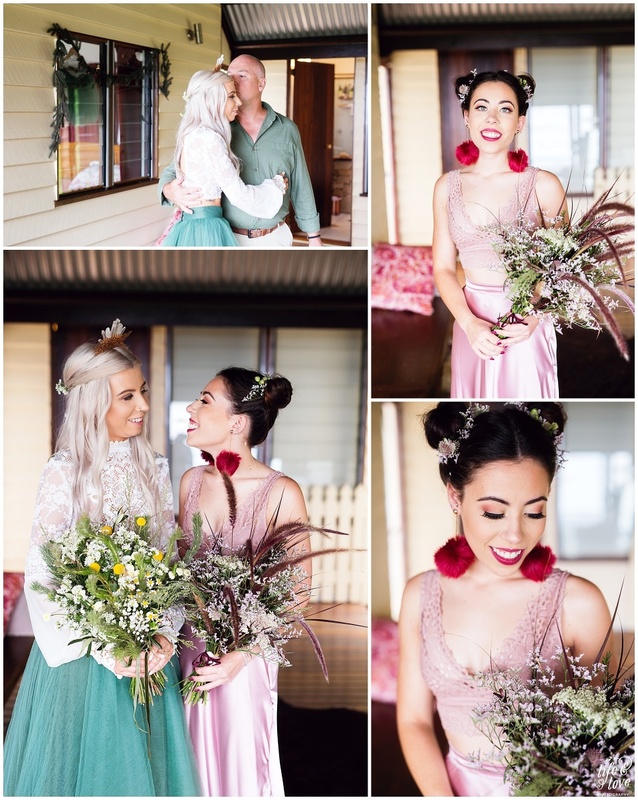 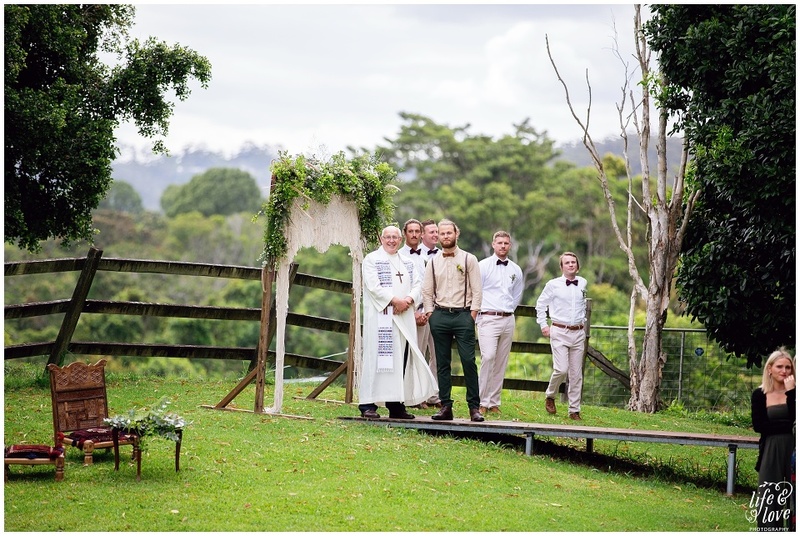 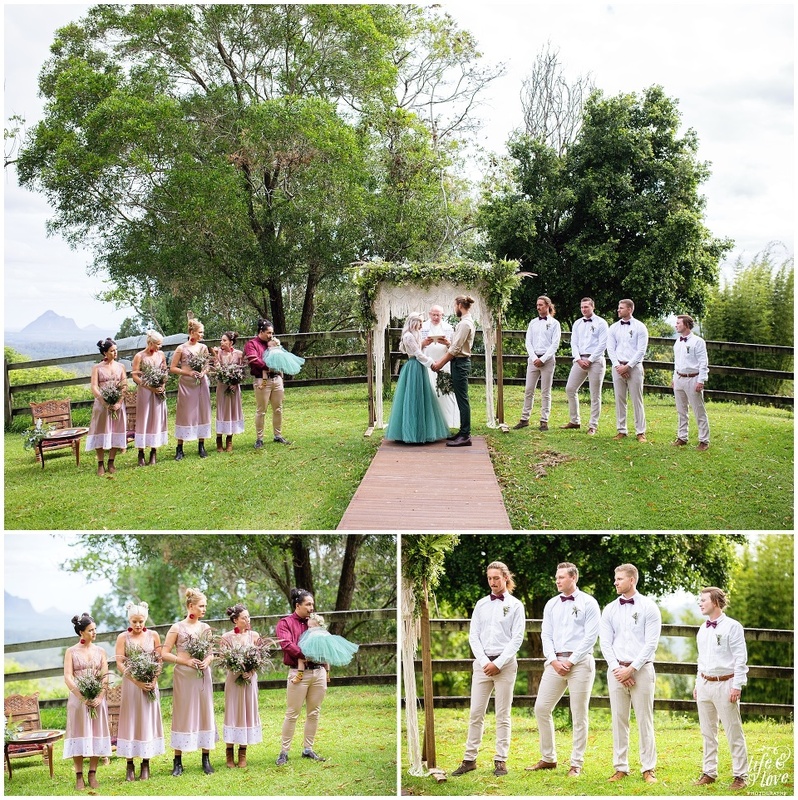 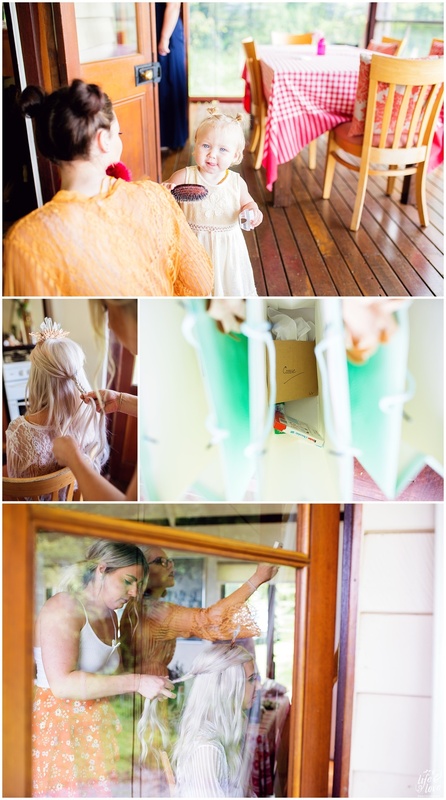 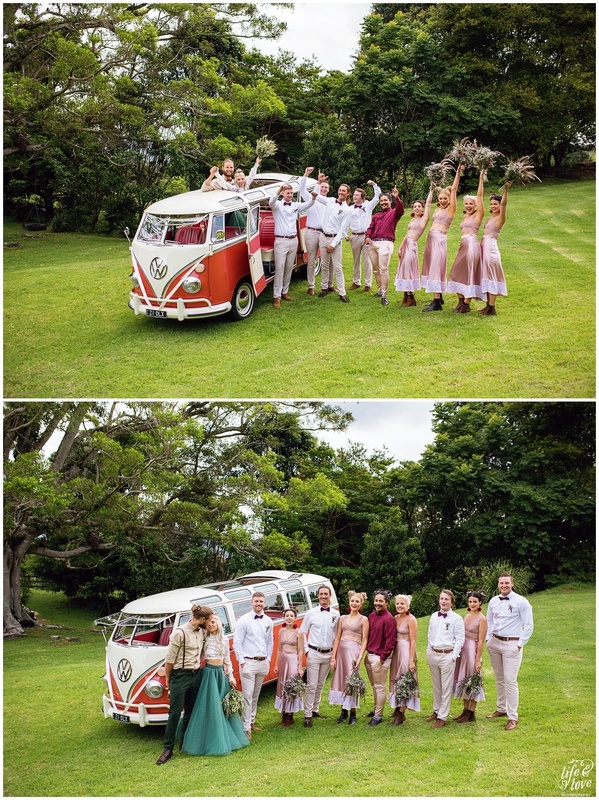 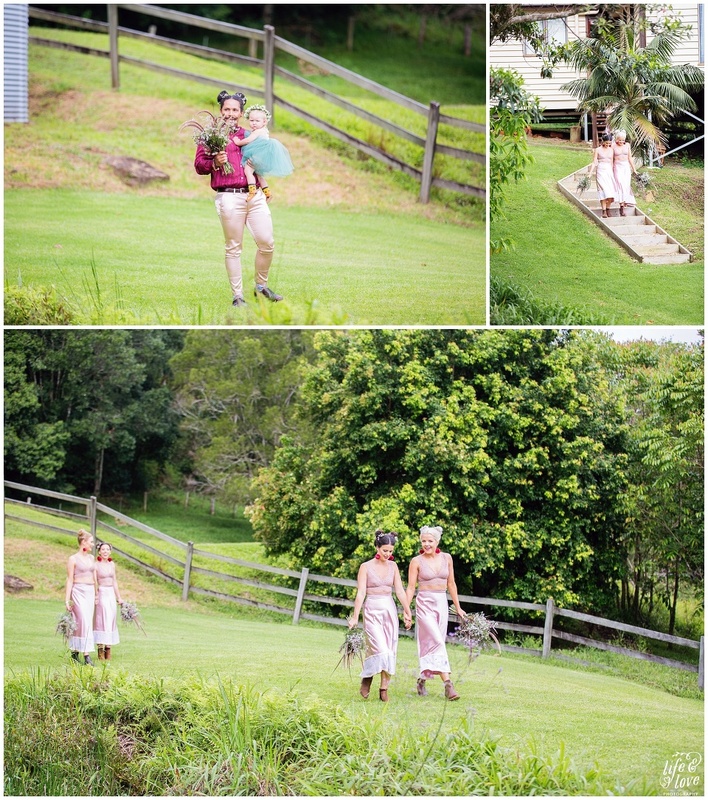 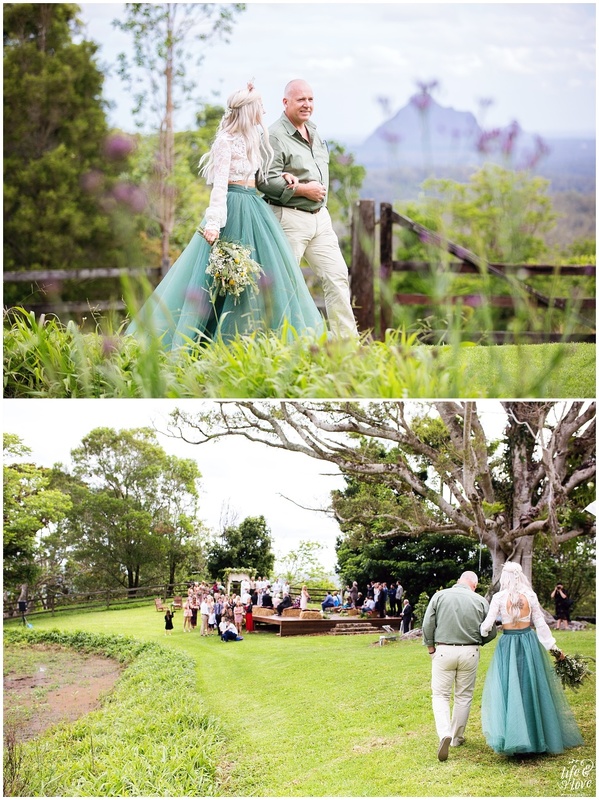 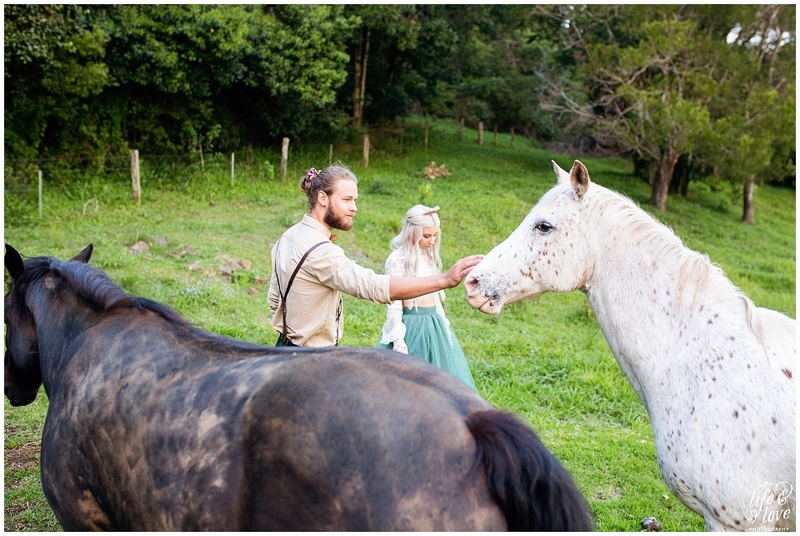 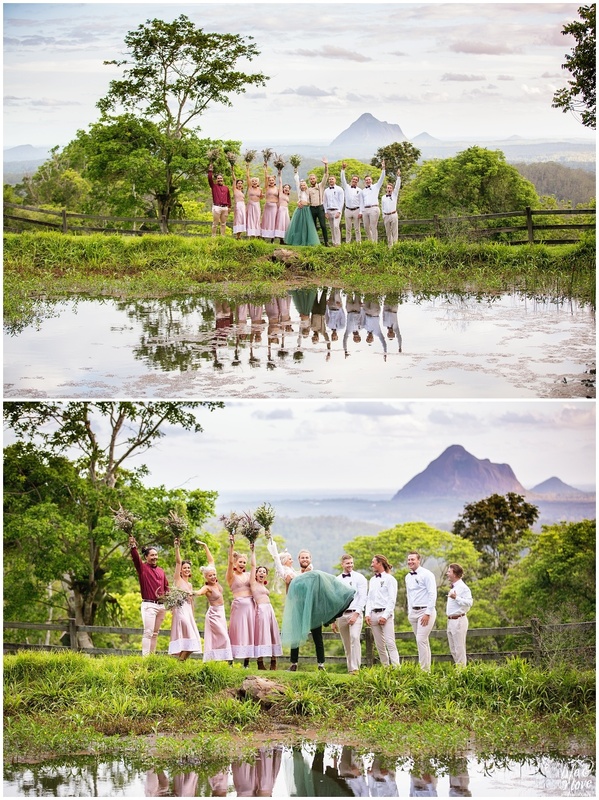 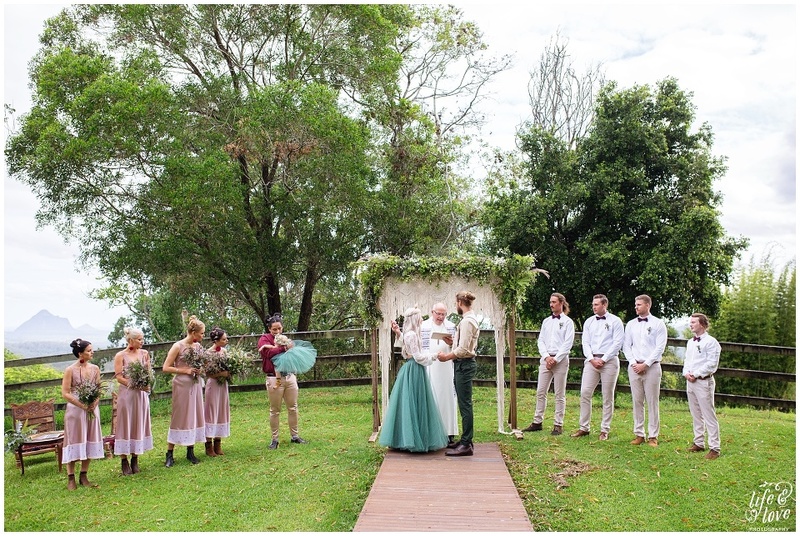 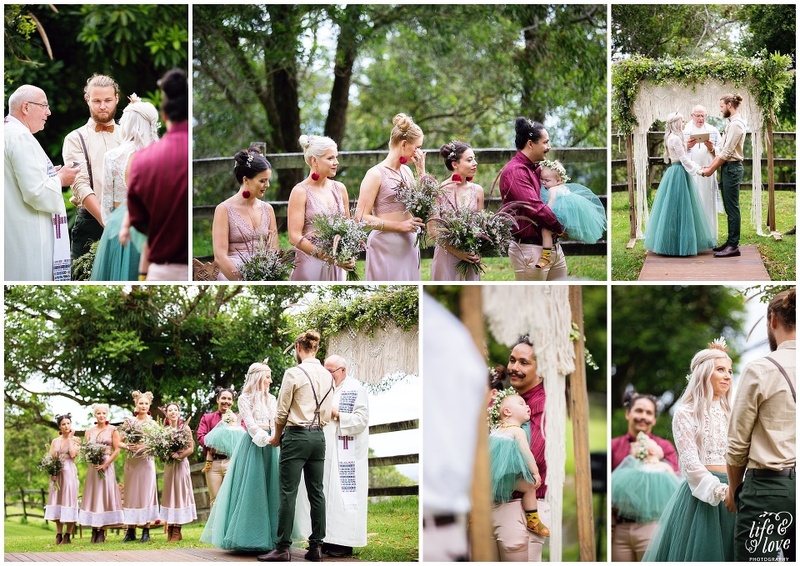 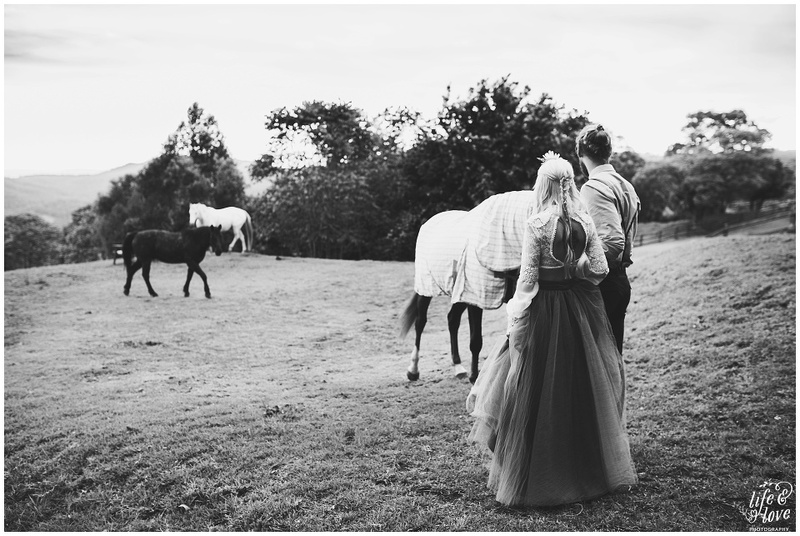 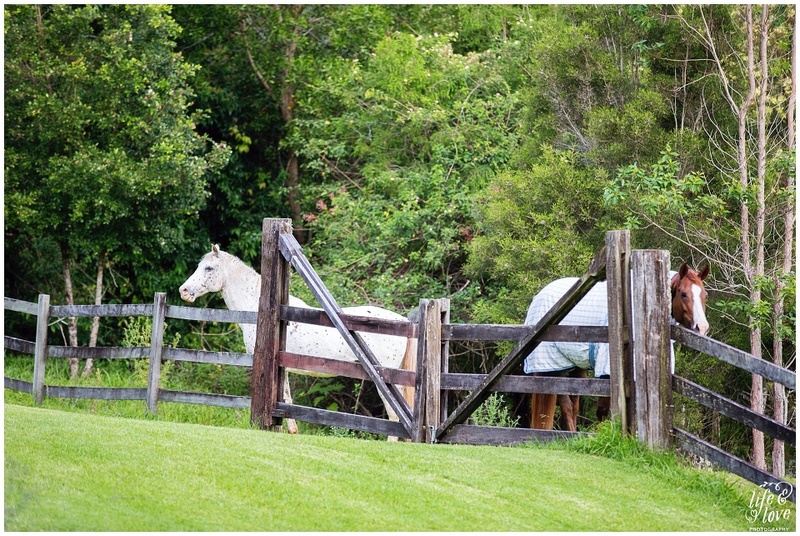 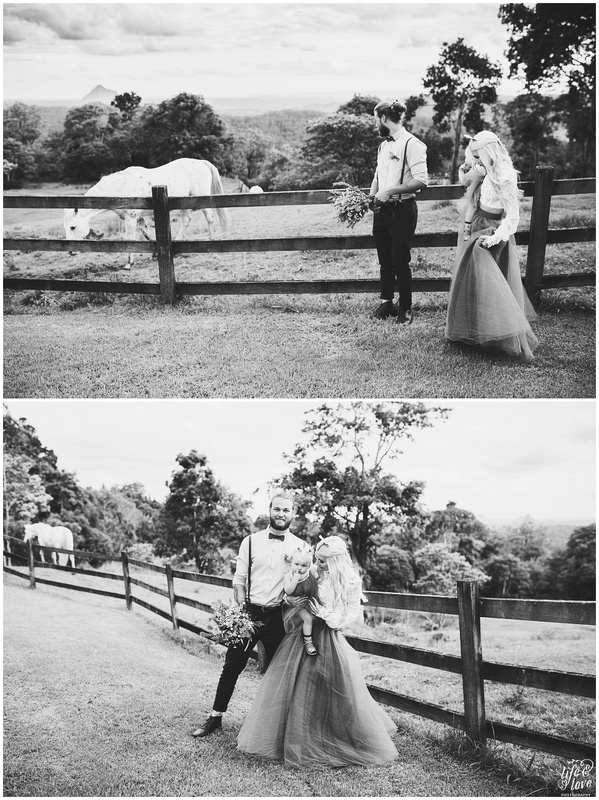 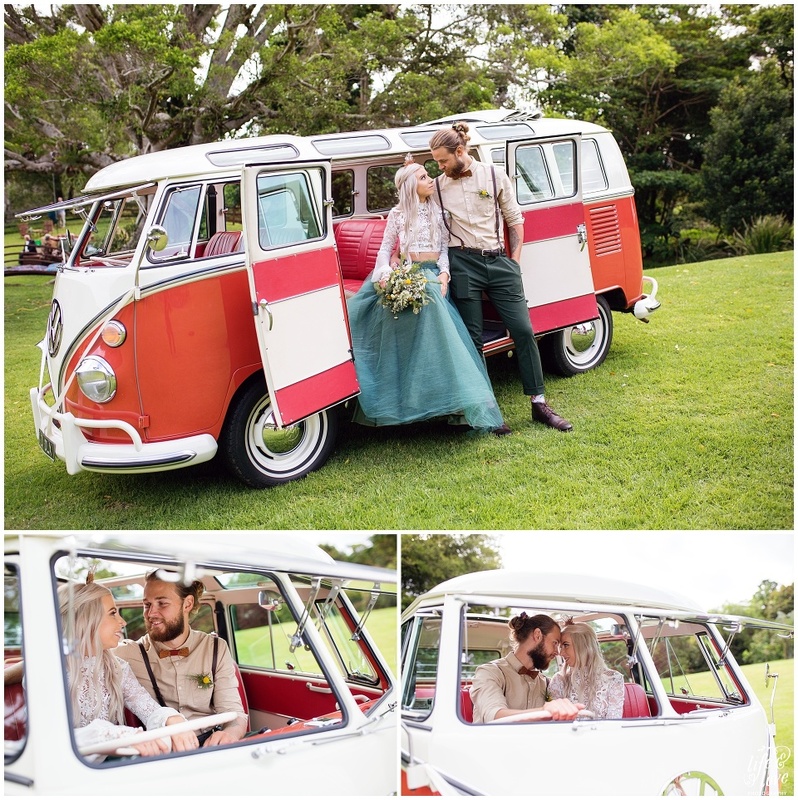 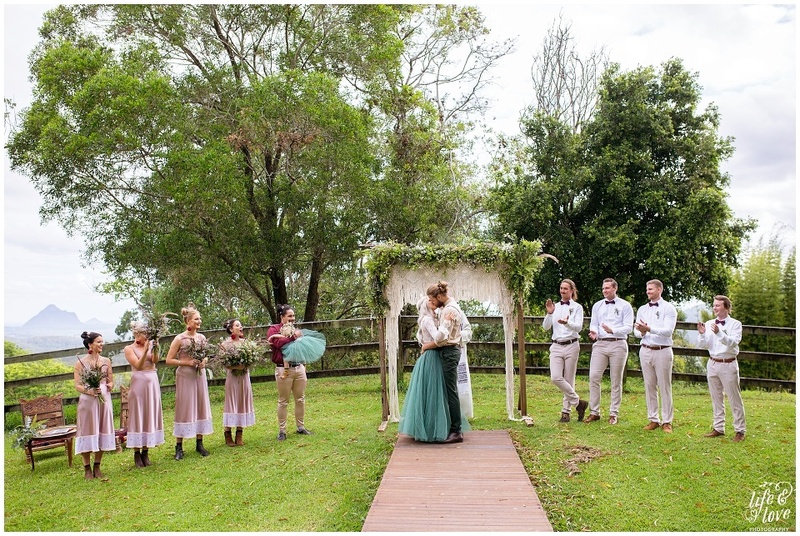 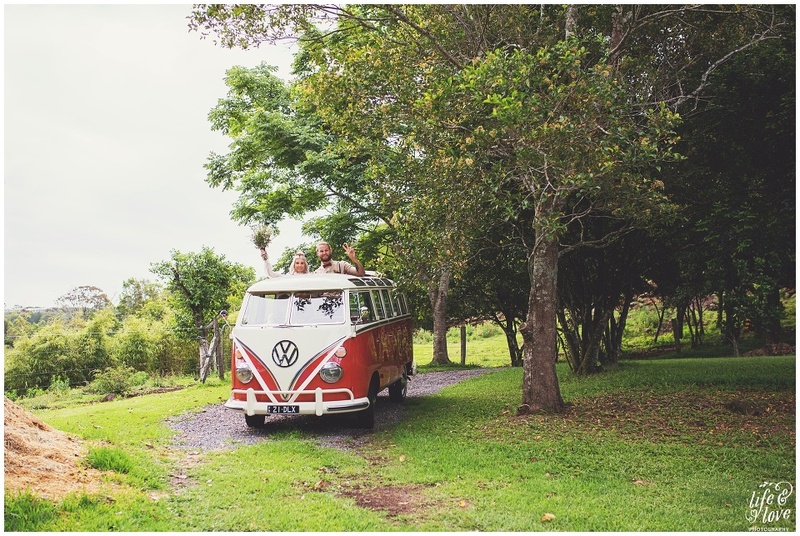 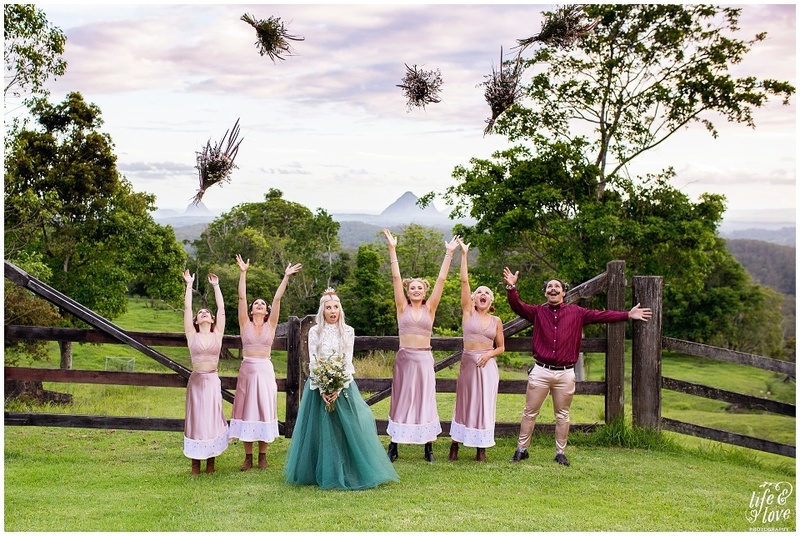 Arriving at the one & only Half Moon Hideaway in Maleny for Sammi & Jack’s big day, I was greeted by Miss Daisy and her cheeky grin along with one of the most amazingly unique bridal party you have ever seen! 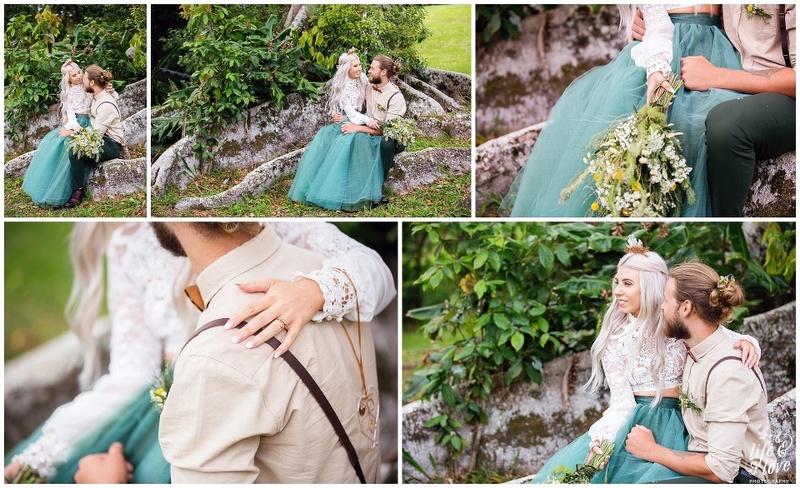 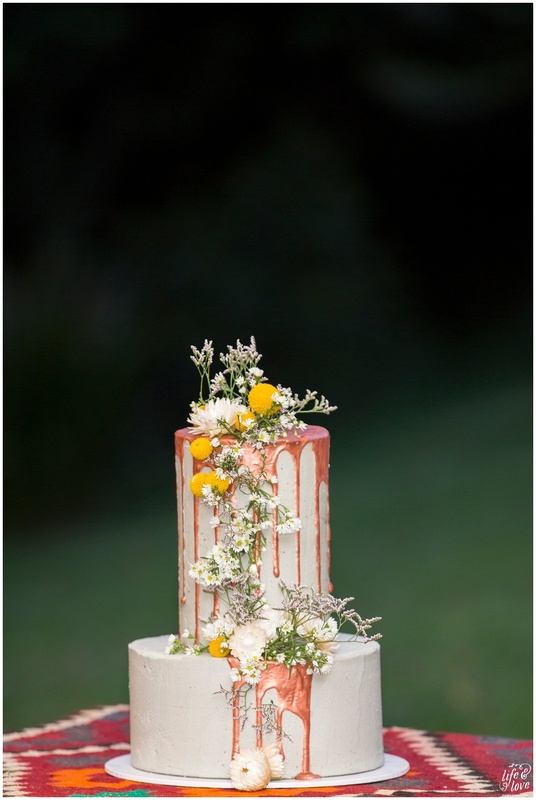 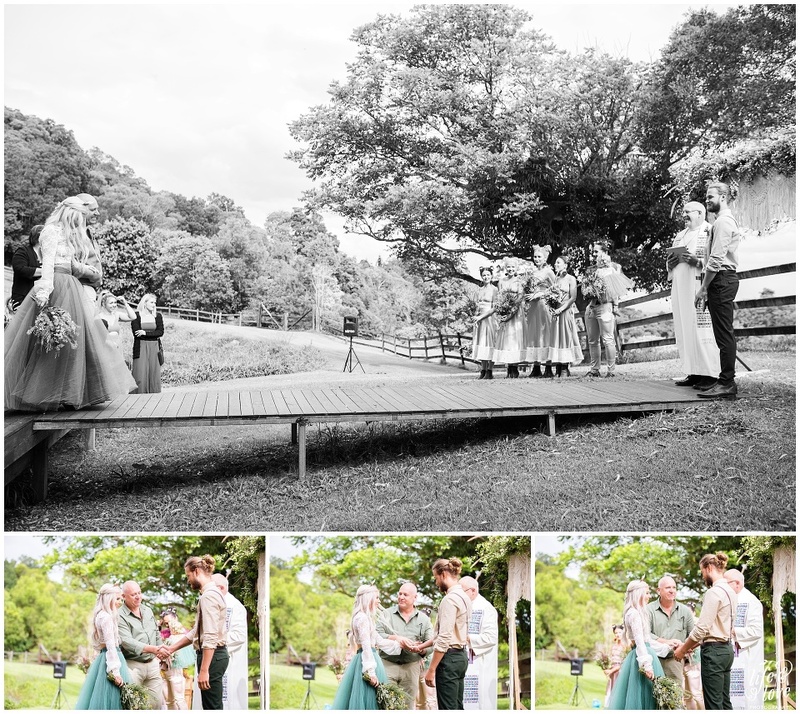 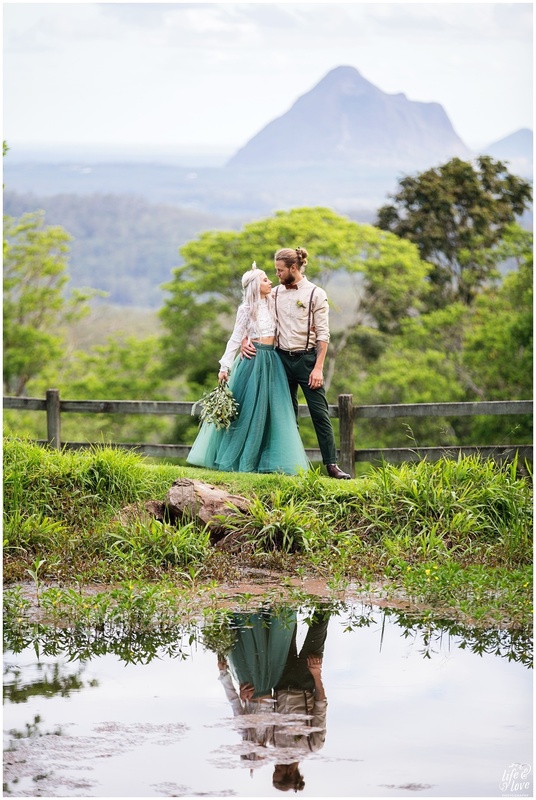 Actually, everything about this wedding was amazing unique, including the Bride & Groom! 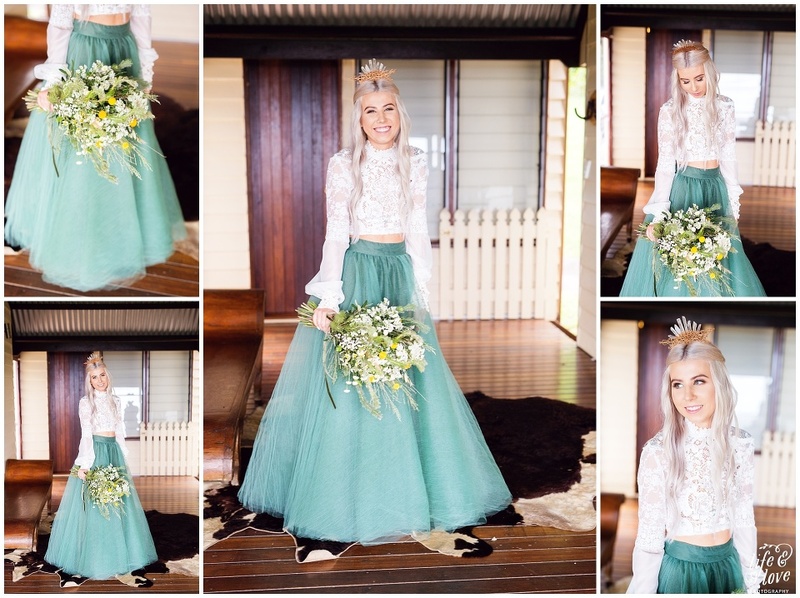 Sammi wore a handmade skirt by her Grandmother, a hand made Judy Copley top, boots from The Iconic (Yes, I did say boots!! 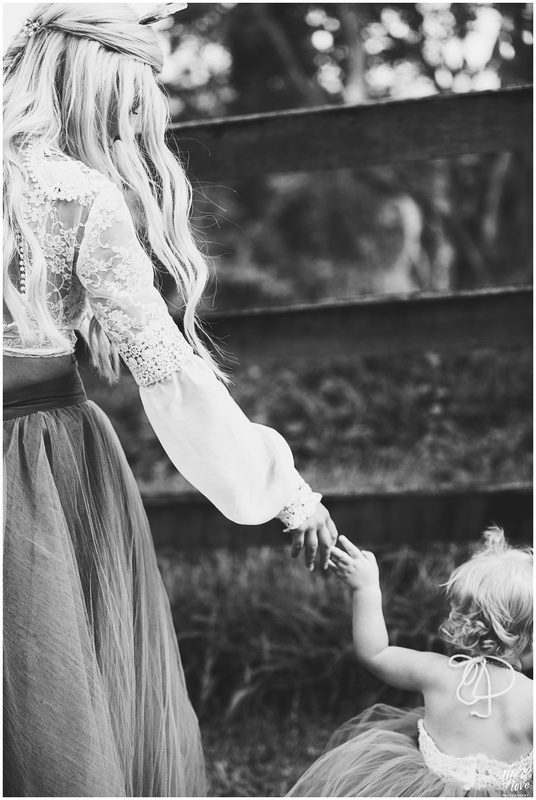 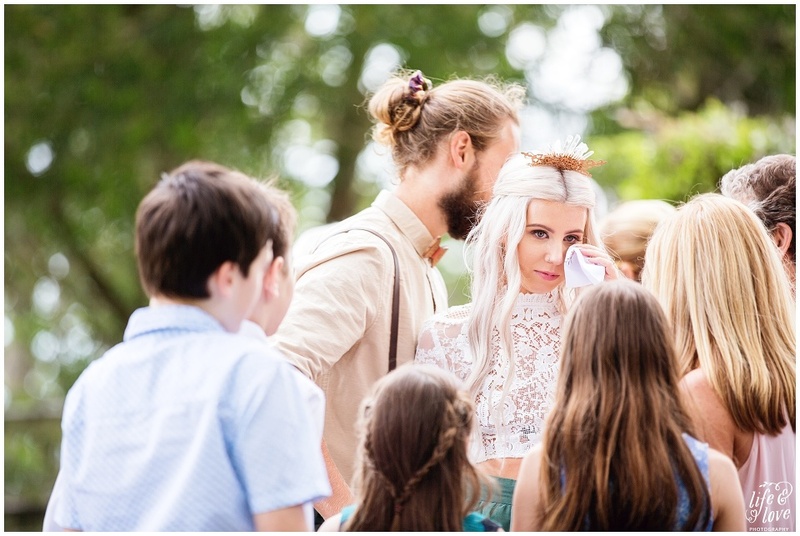 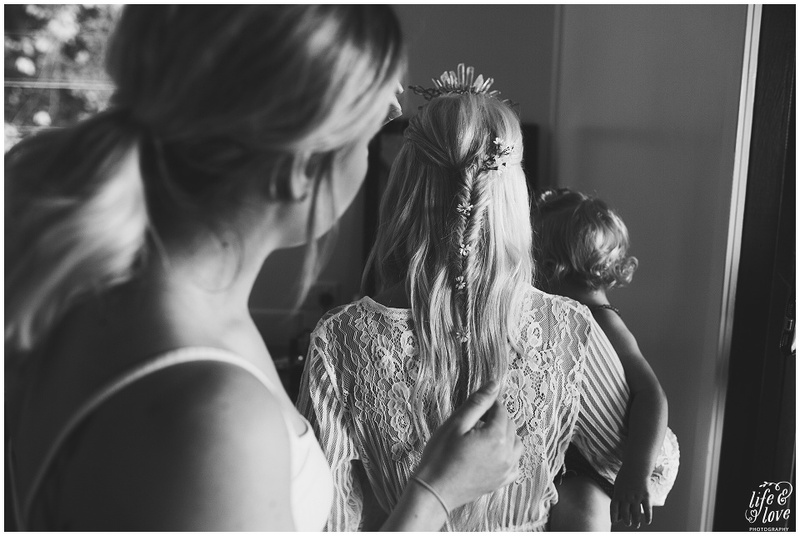 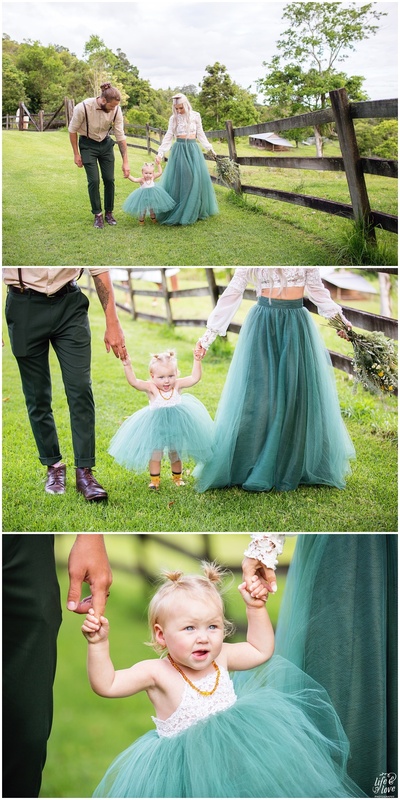 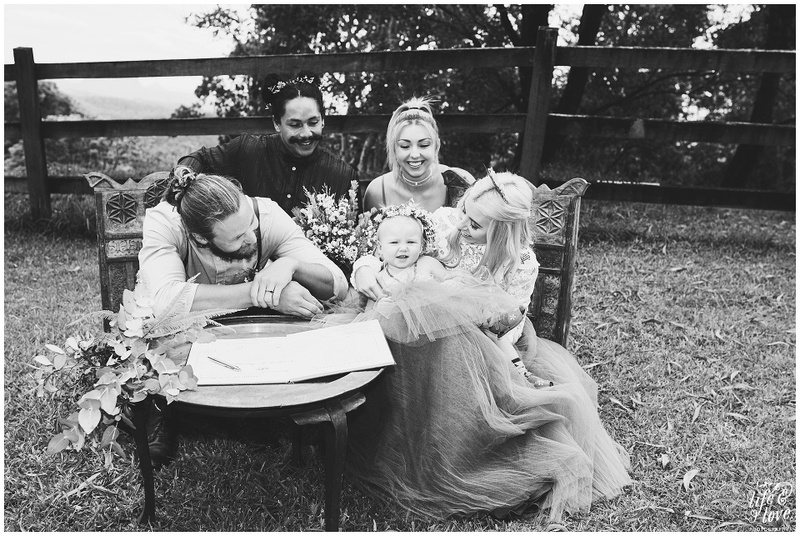 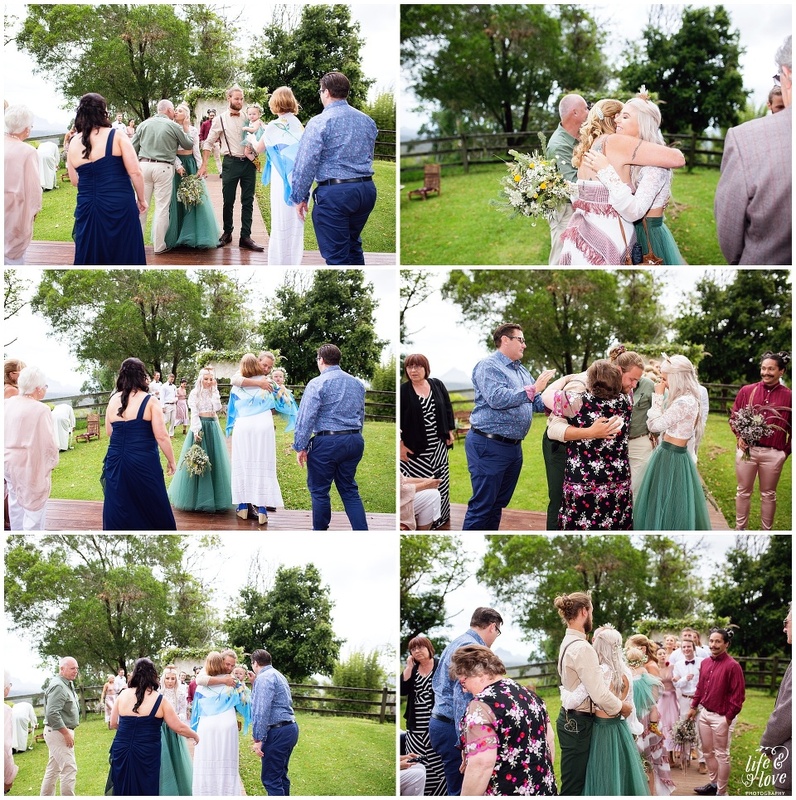 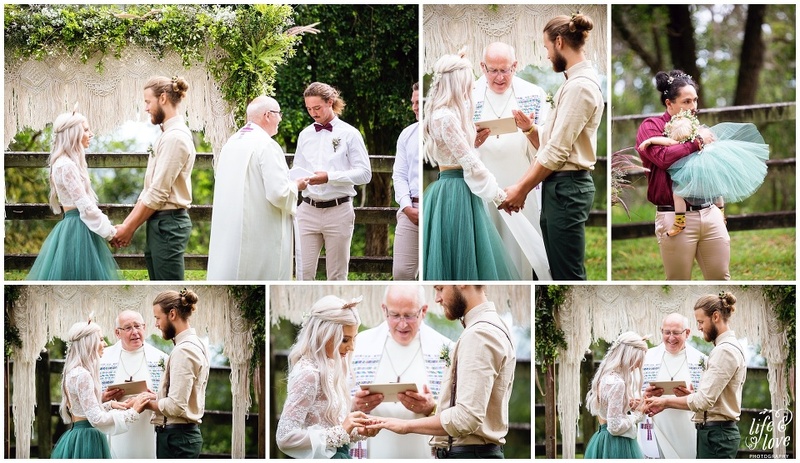 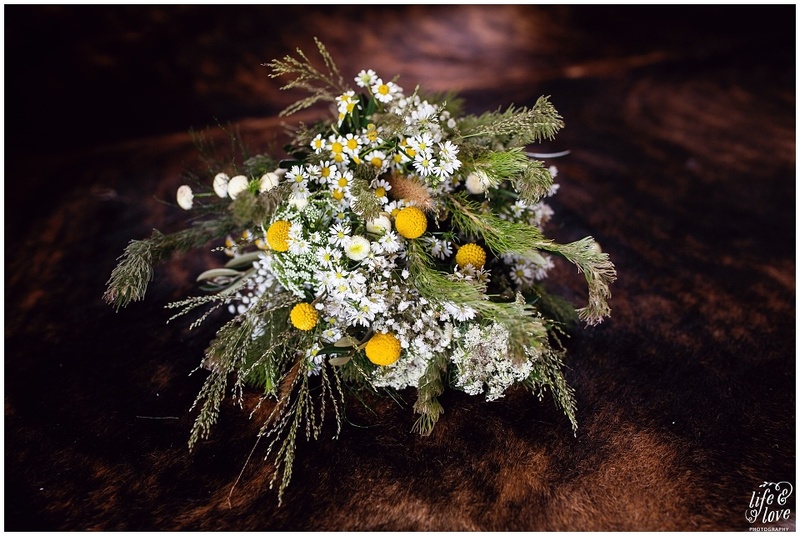 ;) ) and daisies in her hair..
With their closest friends and family invited to celebrate their promise of forever, they had their daughter Daisy, sleeping in the arms of Sammi’s Man of Honour, David, by their side & it truly was a wedding to remember and a union to celebrate! 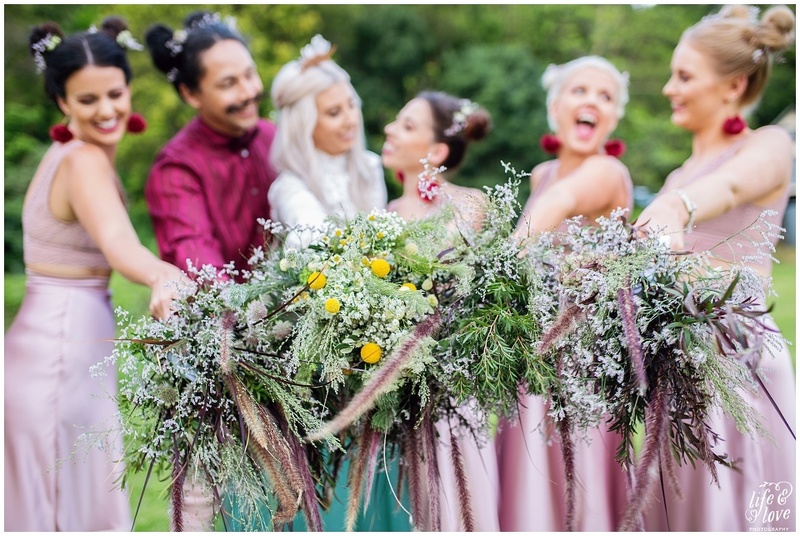 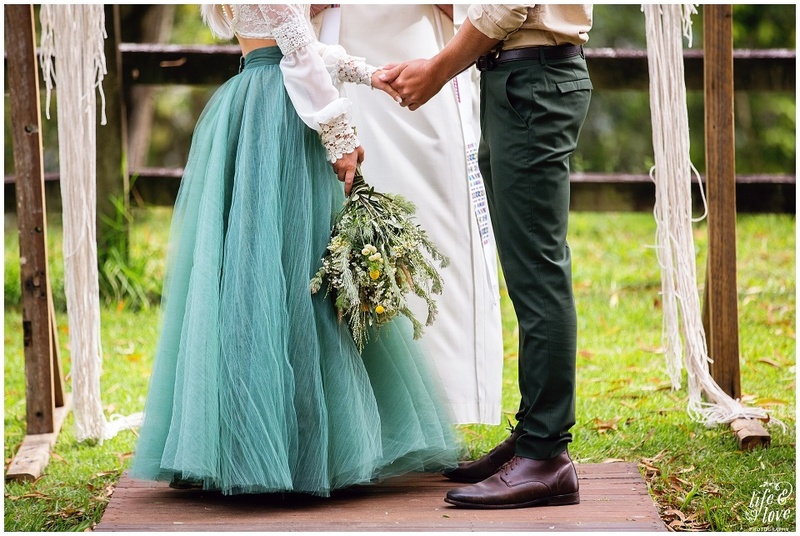 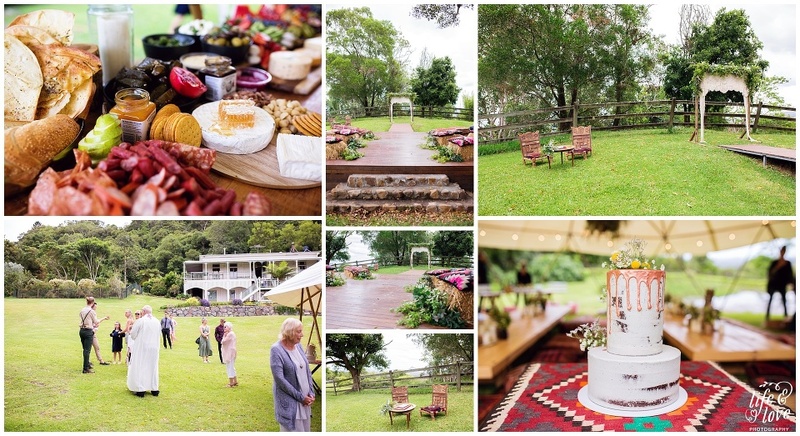 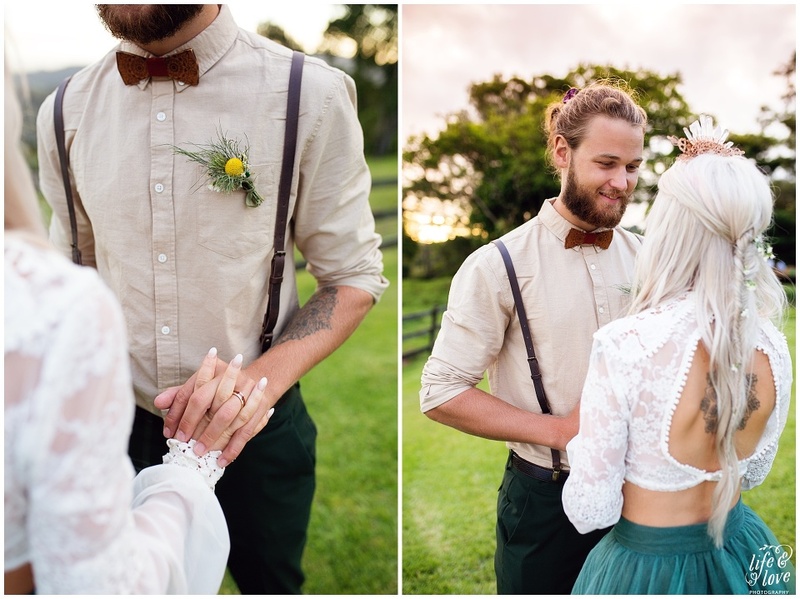 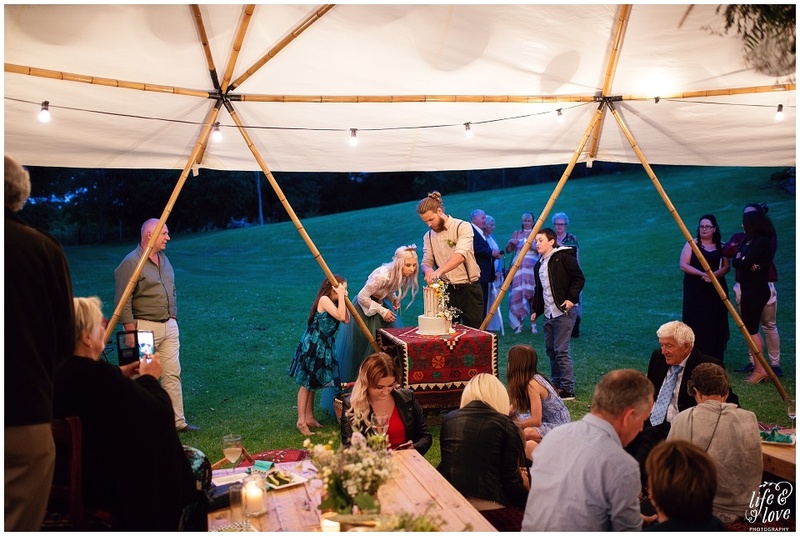 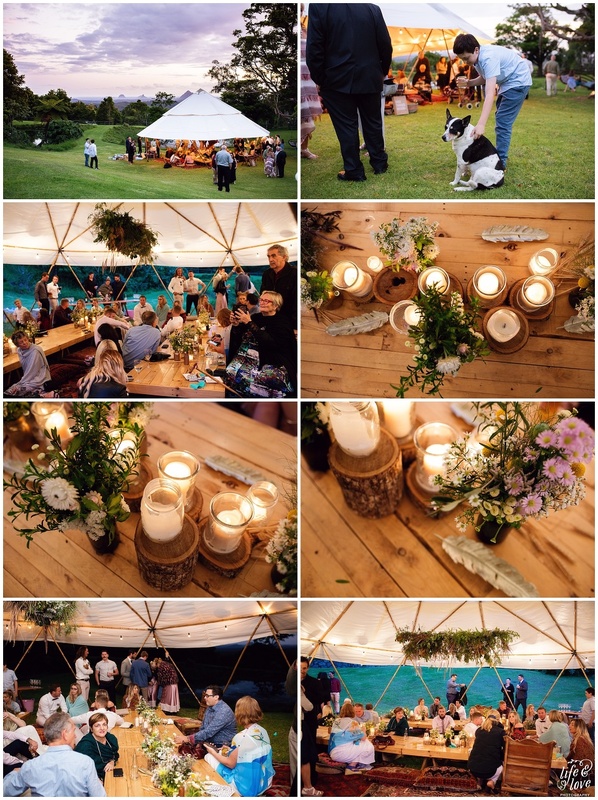 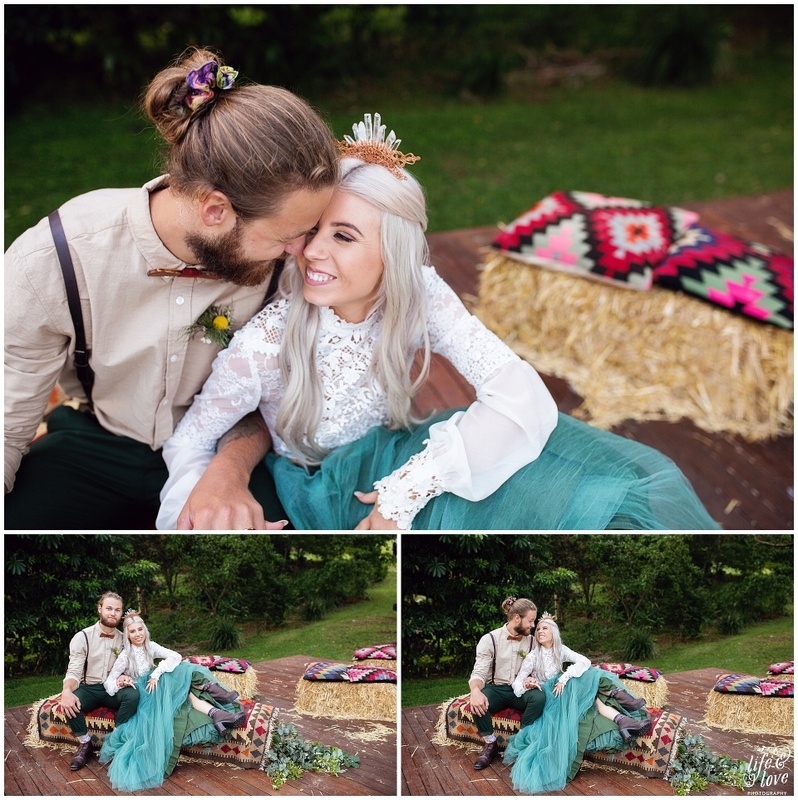 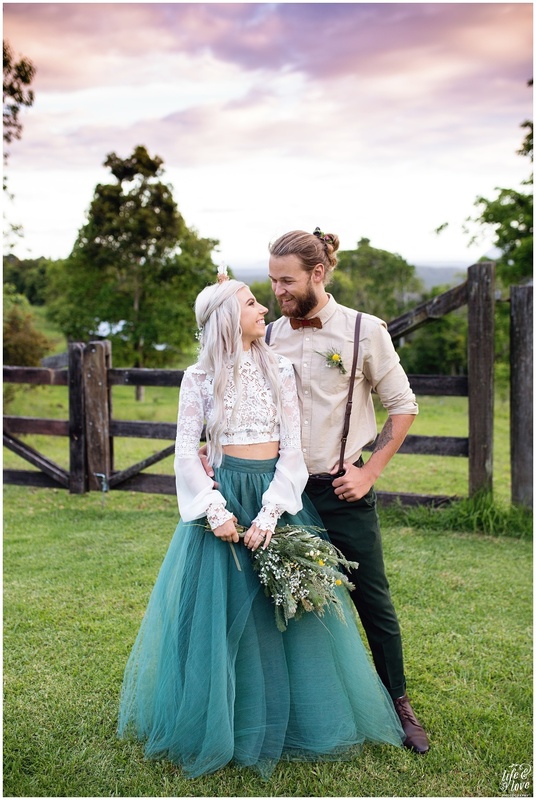 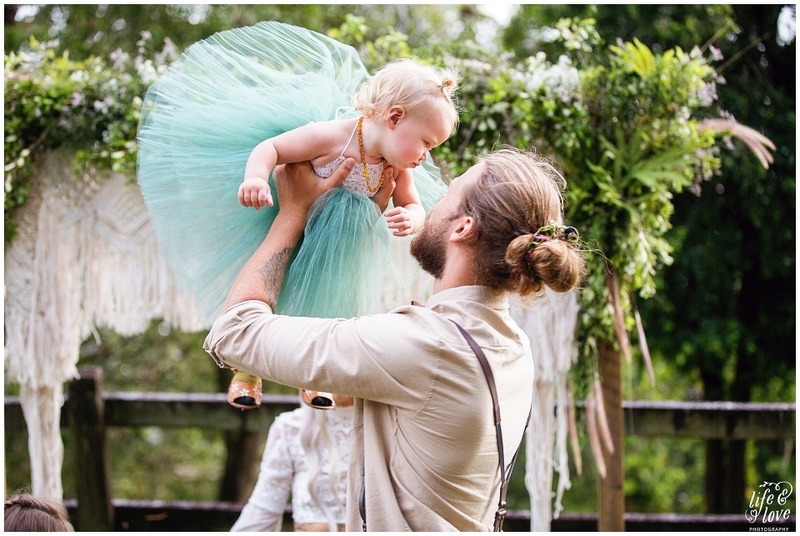 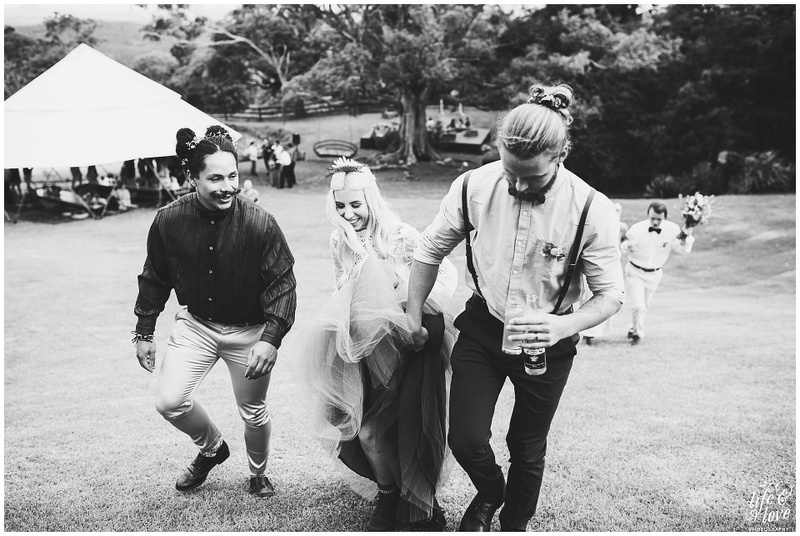 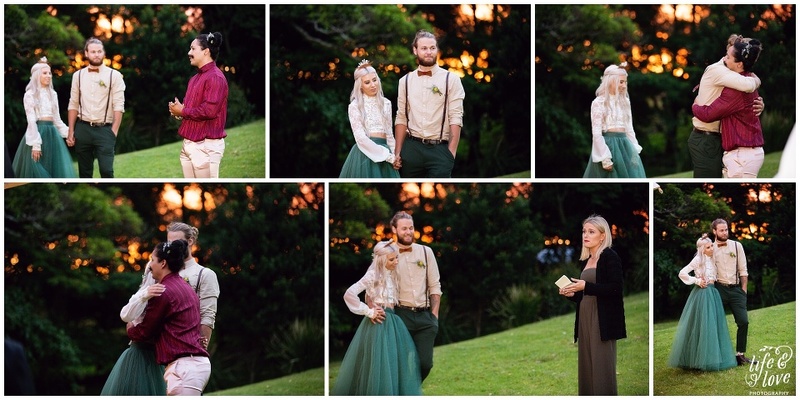 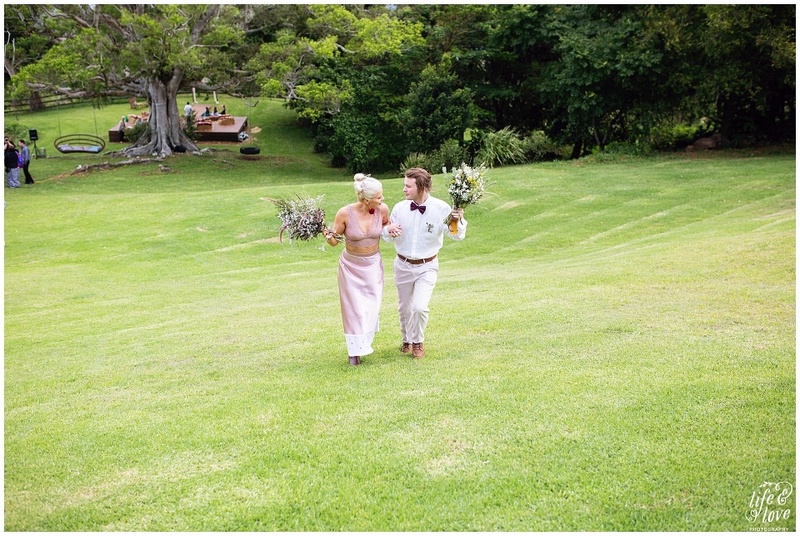 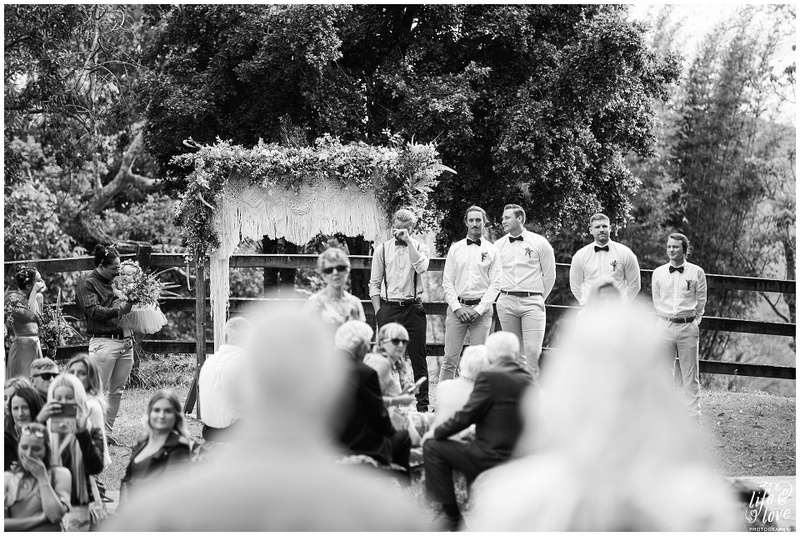 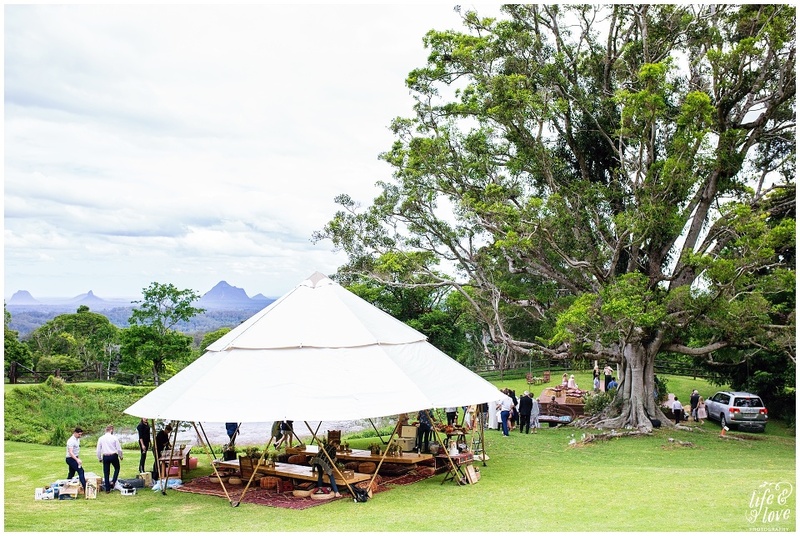 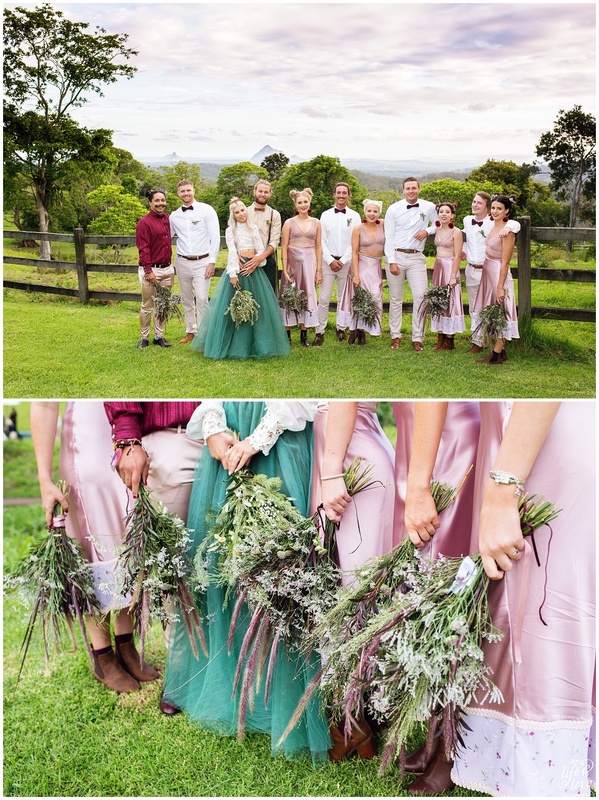 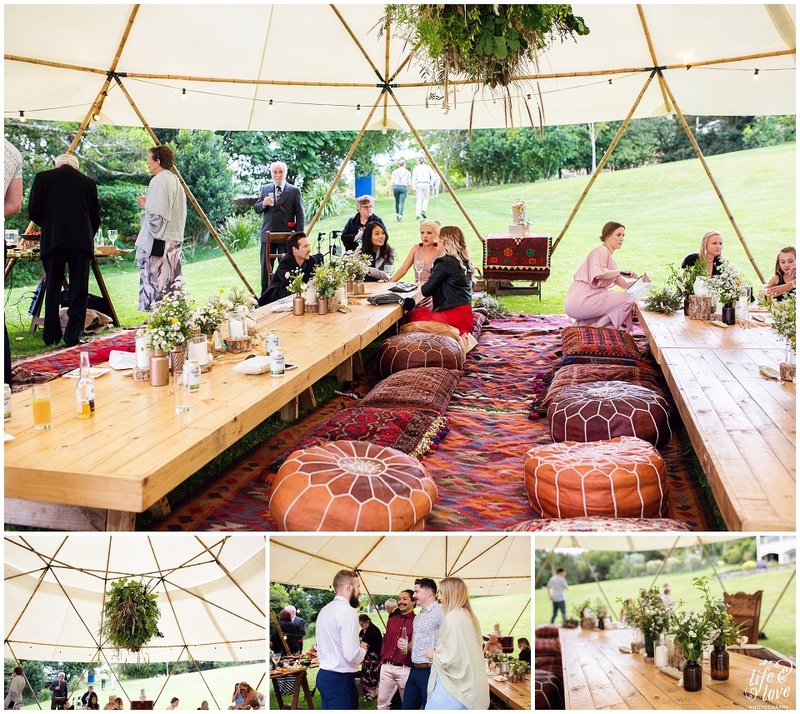 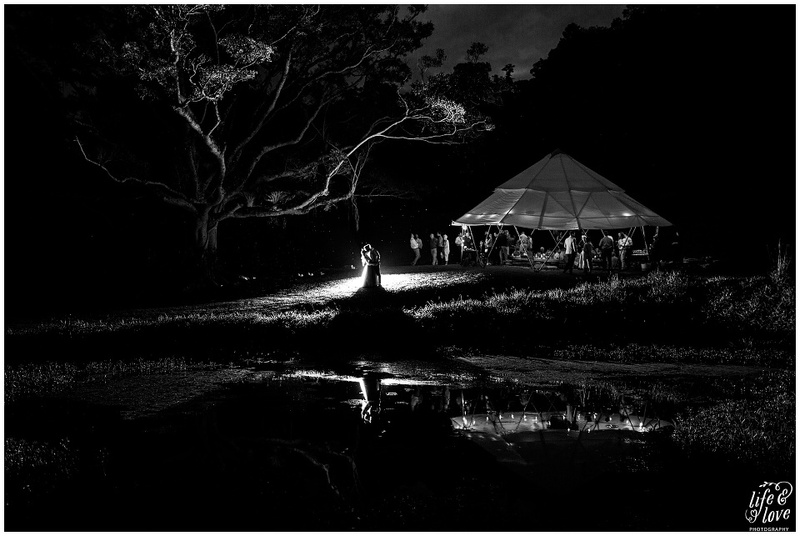 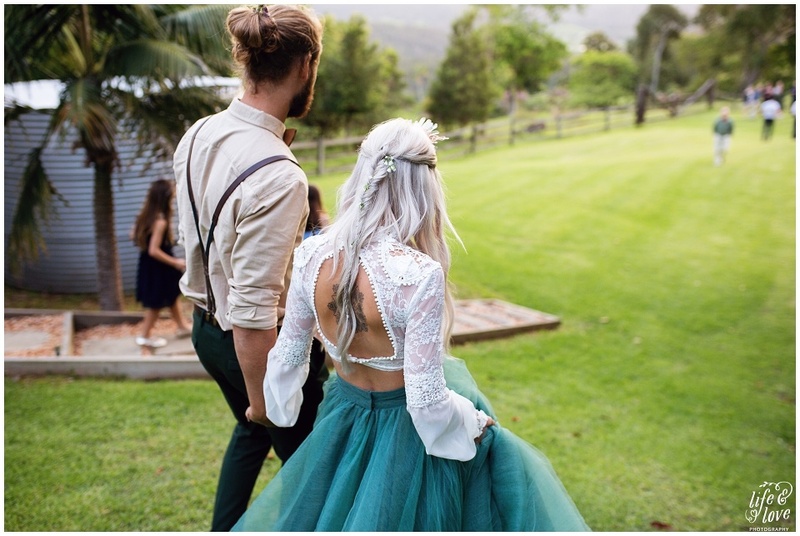 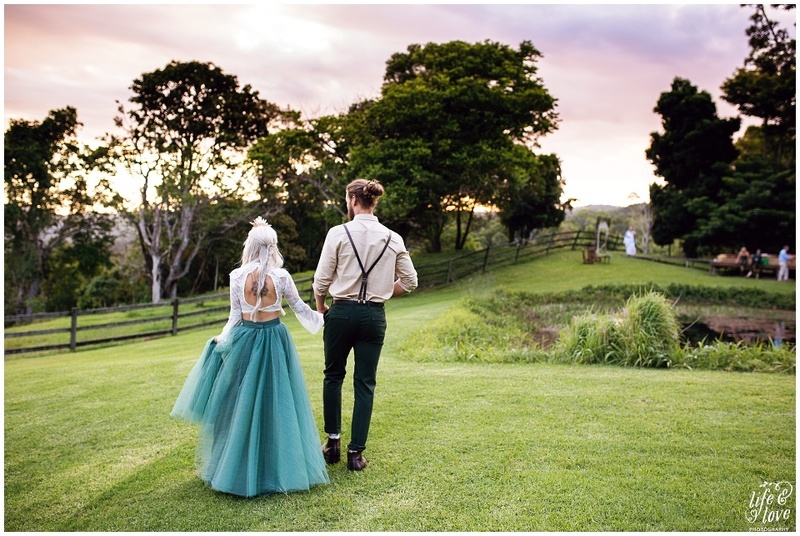 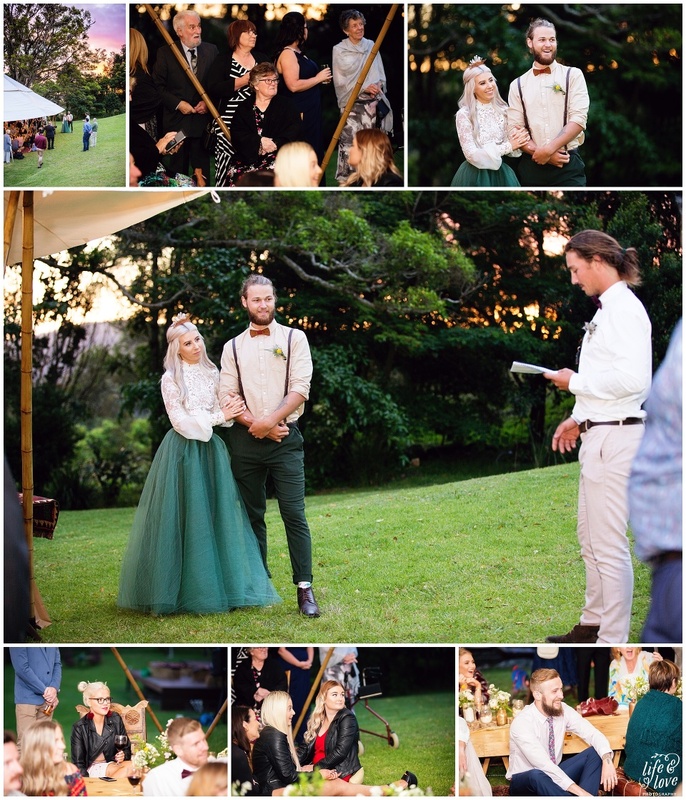 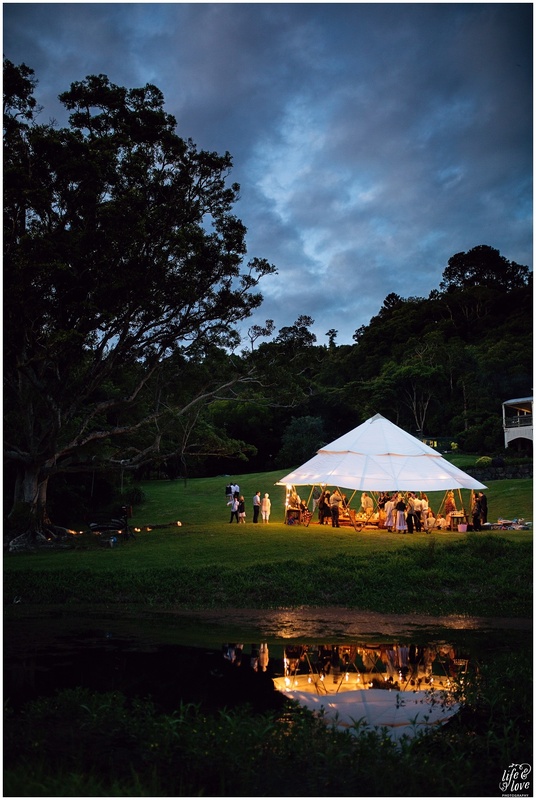 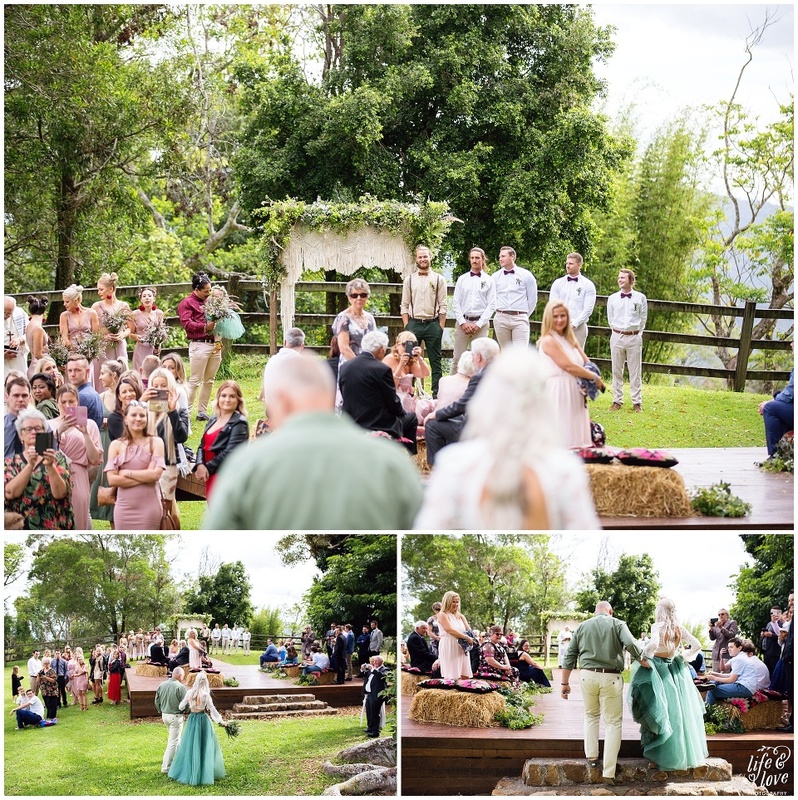 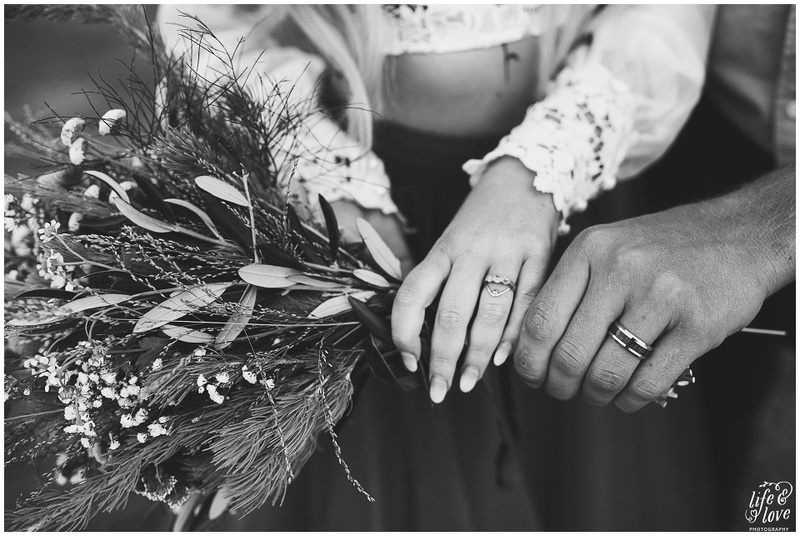 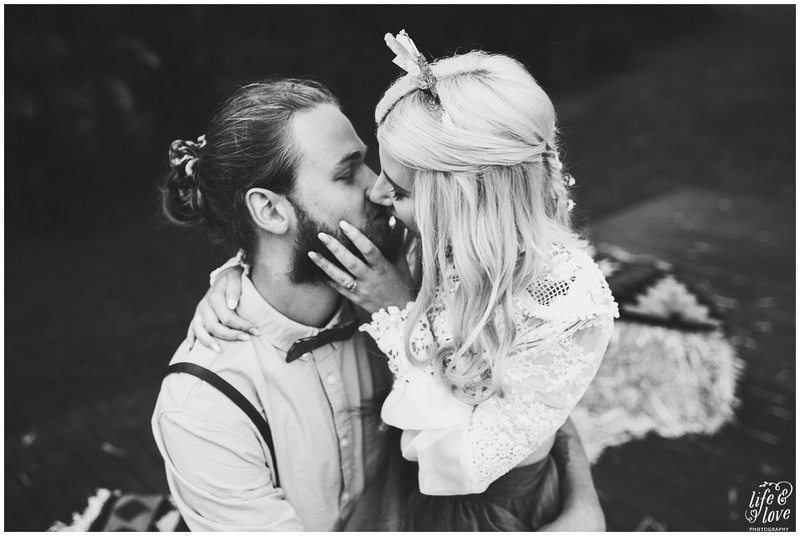 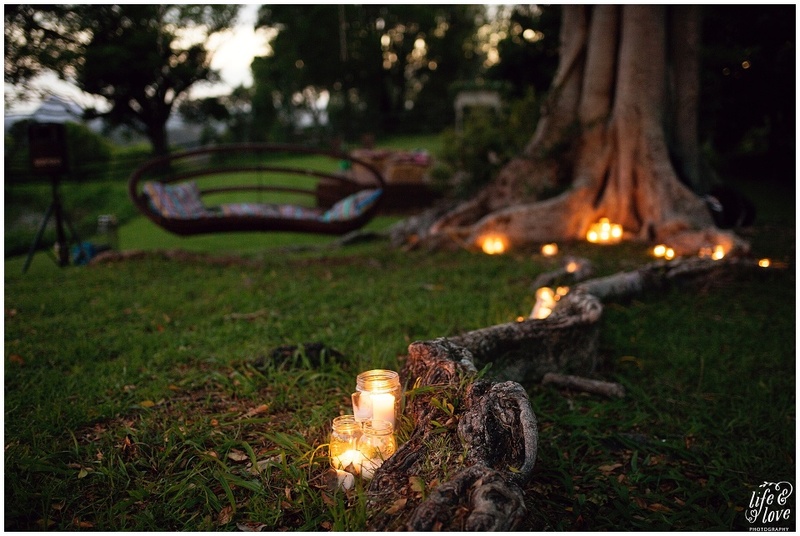 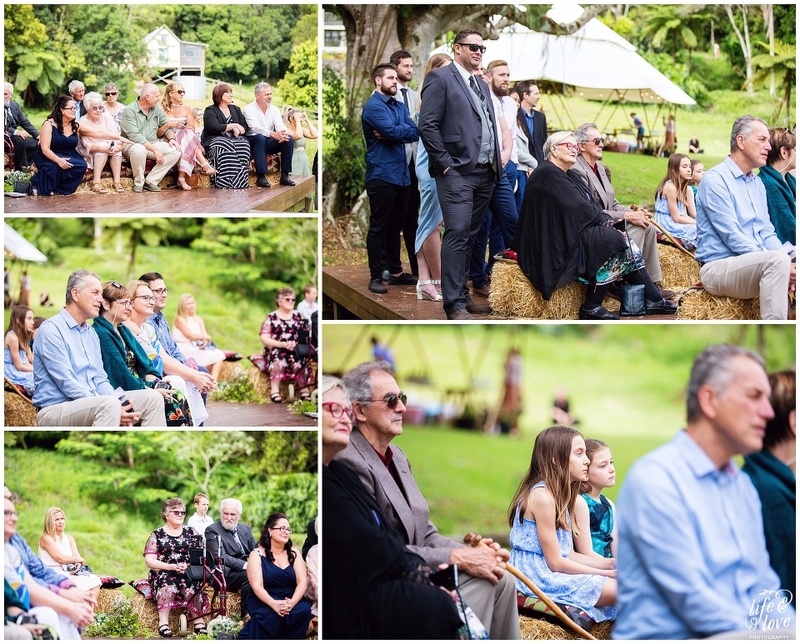 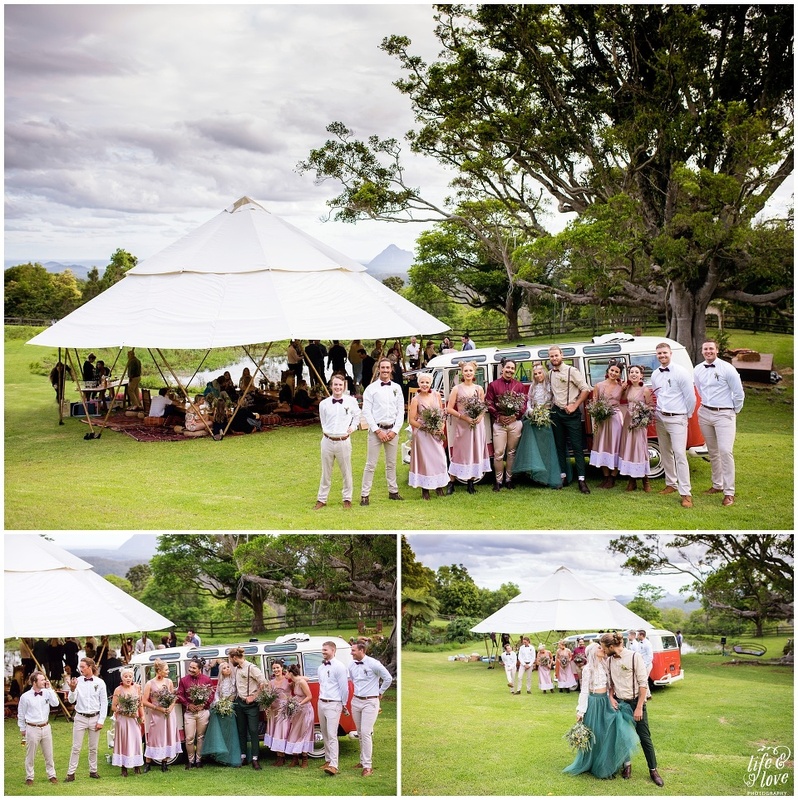 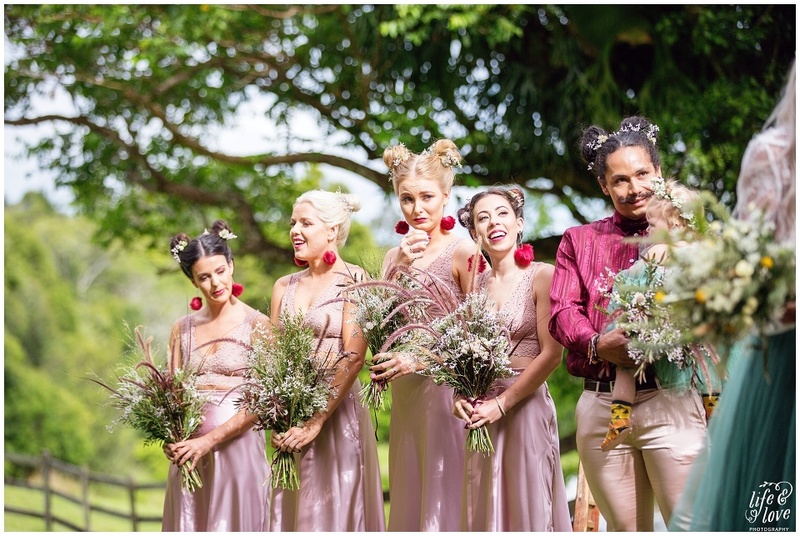 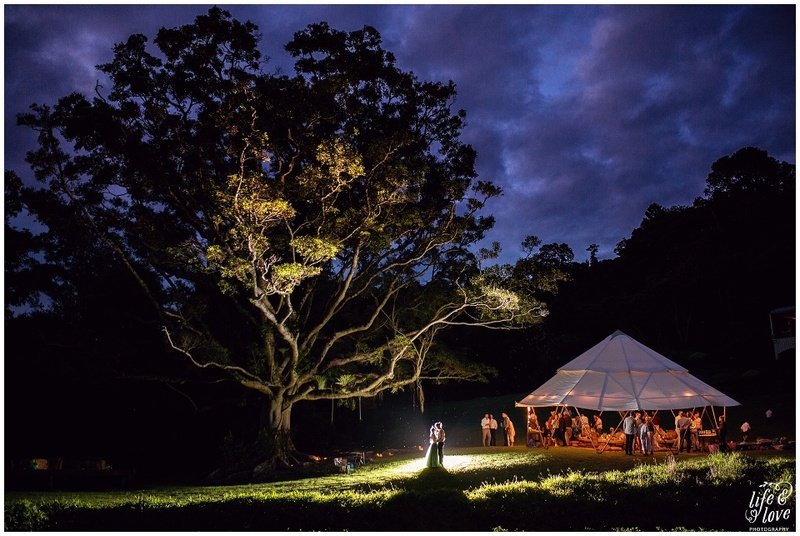 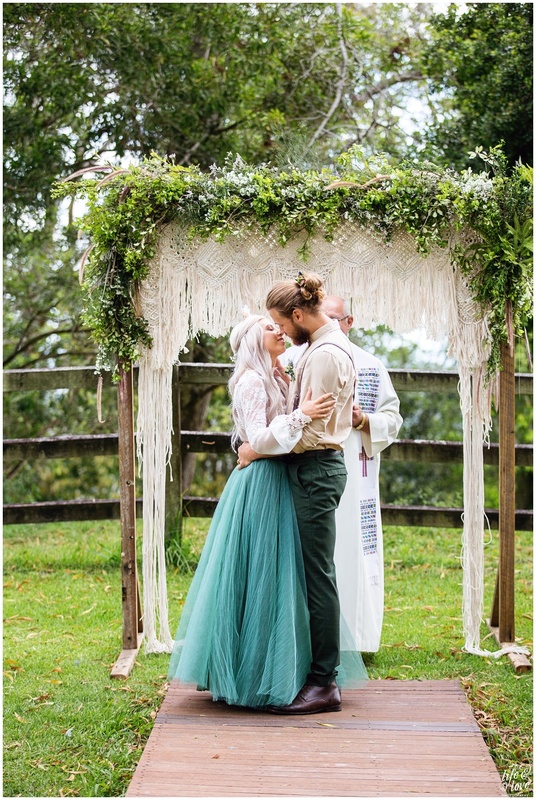 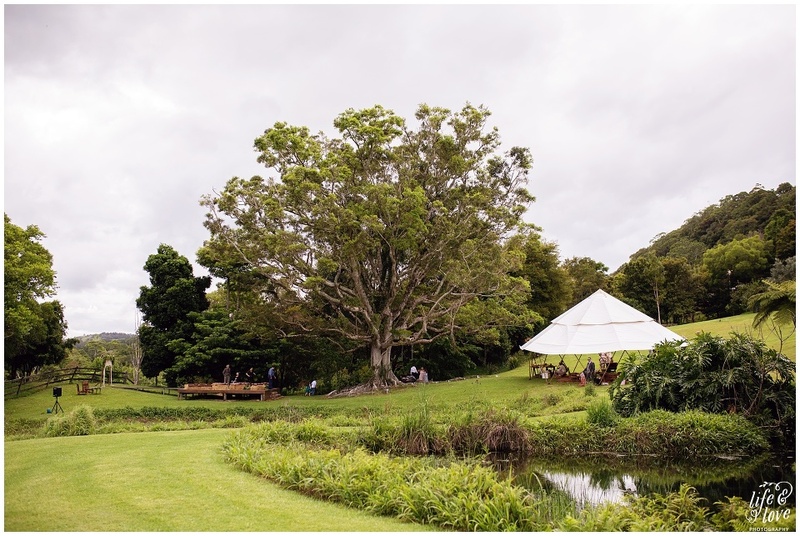 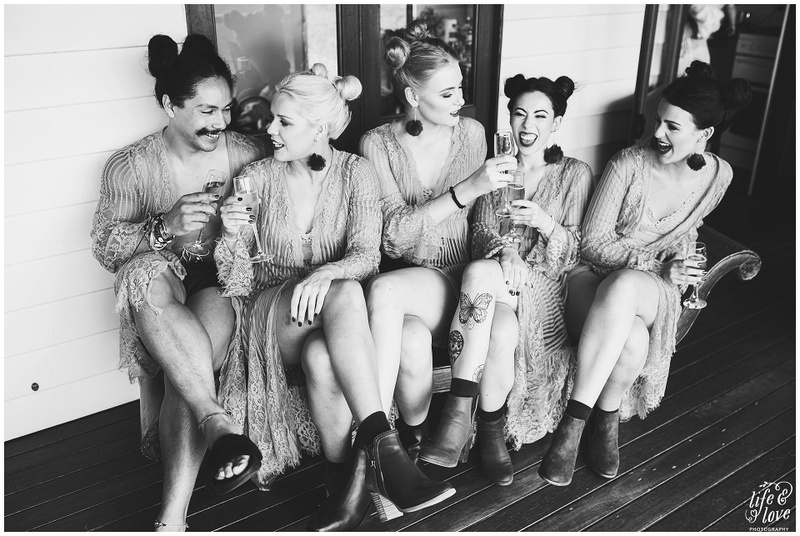 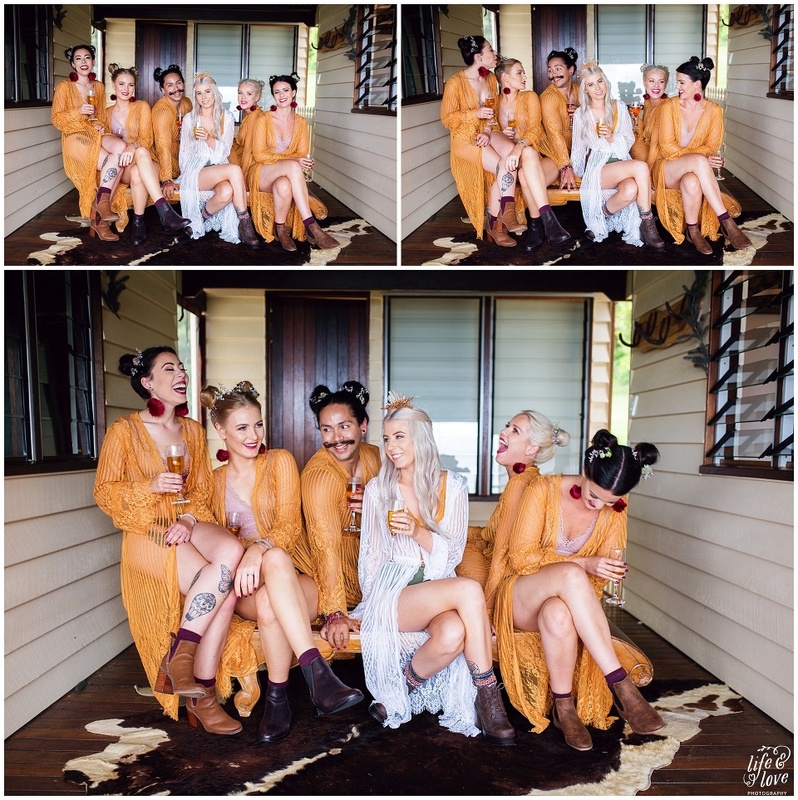 Together with Sammi & Jack’s vision, BOHO SISTERS, Montville Yurts & Heavenly Blooms created a beautiful space for their guests to eat, drink and party well into the night!